Virginia Beach student, also a recipient of the college’s Outstanding High School Graduate Scholarship, attends TCC debt-free. Ashlynn Thompson is not paying a penny to go to Tidewater Community College. She’s wildly ecstatic about her future as an elementary school teacher. Even better: Just one semester into college, she has a job lined up with Virginia Beach Public Schools. It wouldn’t be a reach, she said, to say her college experience tops her wildest dreams. Thompson won the Virginia Beach “Future Teachers of Tomorrow” award during her senior year at Princess Anne High. That guarantees her a one-year teaching contract with the city upon completion of her bachelor’s program. Thompson is planning to attend Old Dominion University after earning her Associate of Applied Science in Social Sciences at TCC. As a recipient of TCC’s Outstanding High School Graduate Scholarship Award, she does not pay tuition or fees to the college. The merit-based scholarship is granted annually to one senior from each public high school in Chesapeake, Norfolk, Portsmouth and Virginia Beach. Thompson grew up loving children and concluded early she wanted to have a career that positively impacted the younger generation. As a junior at Princess Anne High, she enrolled in the Teachers for Tomorrow program, designed to attract teaching candidates from high school students interested in education. As part of that program, Thompson interned her junior year in a third-grade class at Windsor Woods Elementary. 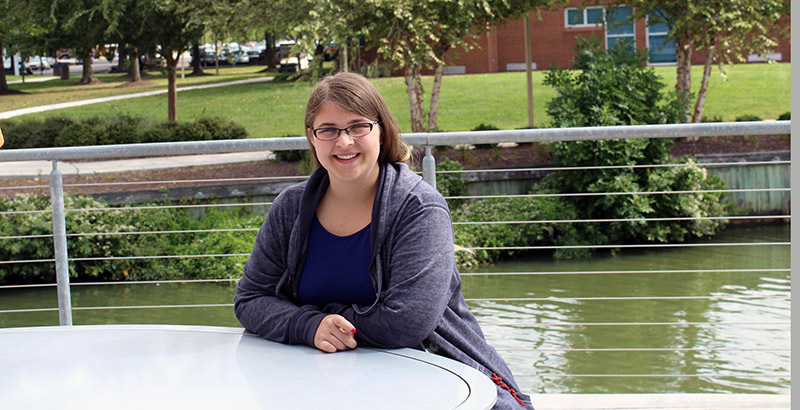 She continued to intern her senior year as it solidified her decision to pursue teaching. As for TCC, Thompson has transitioned well. Thompson also participates in TCC’s student ambassador program, which is an opportunity for students to develop their leadership skills working with faculty, staff and other students. Thompson stressed that as a high-achieving high school graduate, she had options to go other places. Conversations with adults who hold TCC in high regard reinforced her decision to attend.